As we rang in 2018, we knew there was already one momentous big day in the calendar to look forward to. With Prince Harry and Meghan Markle’s nuptials looming large, we open our January-February issue by asking a few industry insiders to divulge what the Suits actor might wear come May. But don’t worry, we’ve also fixed our eyes firmly on your wedding wardrobe. Us mere mortals don’t have the world’s finest couturiers on speed dial, but what we do have is a wealth of brilliant boutiques whose rails are filled with covetable collections. Working with a stellar team that included photographer Alexandra Roscoe, stylist Ashleigh Elliott and hair and makeup artist Suzanne Christie, our bridal shoot this issue takes a foray through some of the most incredible dresses that have just landed at Scottish boutiques. Think high-octane jewelled bodices, look-at-me crystal fringing and flourishing floral applique. WANT. Black might be the colour that’s in on the Golden Globes’ red carpet, but for Scottish mothers of the bride this coming season? It appears not! 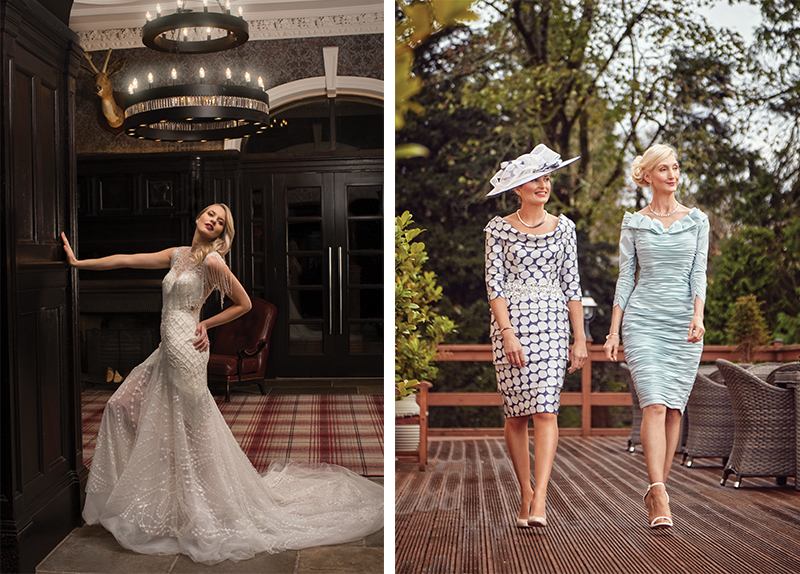 Armed with a rainbow of classy outfits in blush, oyster, powder pink, taupe and blue, we headed to Cornhill Castle to show off the wares of some of the country’s leading occasionwear specialists. If this isn’t enough to help your mum score her w-day ensemble, we also run through the dos and don’ts of shopping and cast an eye over the labels she’ll want to have on her radar. At this rate, she might have her look in the bag before yours! If you’re a newbie to this wedding planning business, then you’re going to want to get your teeth into our biggest venues section ever. The location you choose will set the tone and affect the budget for the entire event, so we focus on the practicalities of booking a venue. No need to stress about what questions you should be asking at each place on your shortlist – we’ve got your back on this one. We also survey former church buildings that have been reimagined as cool party spaces, making it a breeze to give your big day that traditional vibe even if you’re not that sold on religion. And if you’re feeling a bit stumped as to how your own wedding style might pan out, cast your eyes over our real-life weddings. 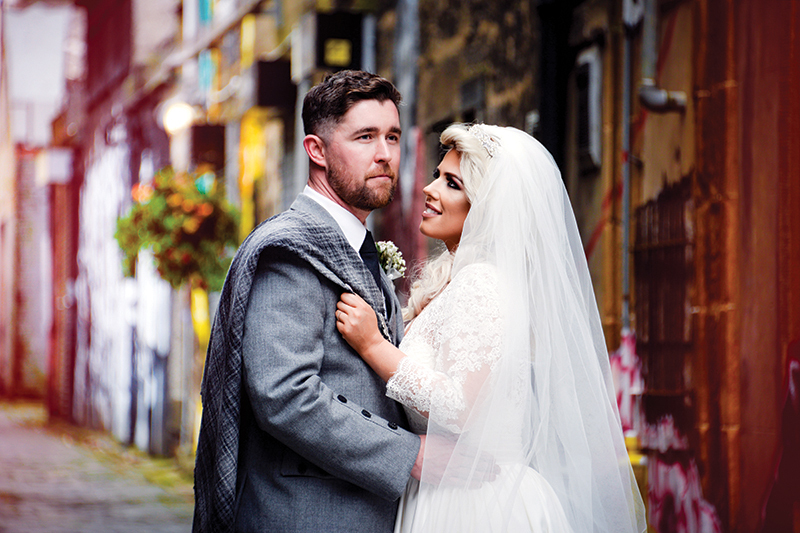 Seven recent brides spill the beans on everything from a fight on the dancefloor (yes, really!) to nailing a destination do in just a few months. 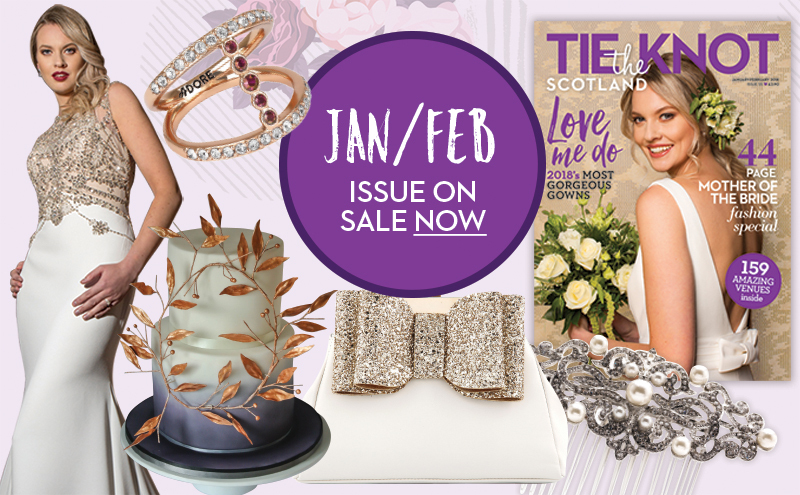 Start 2018 as you mean to go on – full of boundless enthusiasm for planning the most important day of your life so far ­­– by picking up a copy of Tie the Knot Scotland, available from selected Scottish retailers now. Or go one better and treat yourself for the year by signing up to a six-issue subscription for just £18.